Avoid the advertising armbar! 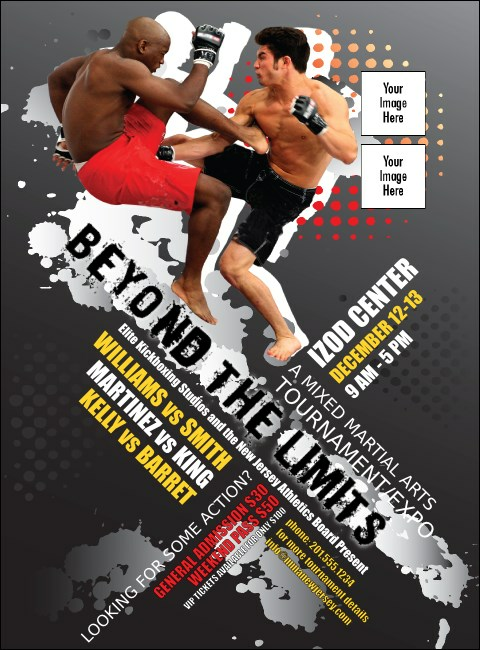 Print MMA Frontkick Flyers and post them in advance for your next fight. Pre-event publicity never looked so good with a full color poster that features an action shot of two fighters in mid-battle on a colorful background design. Flyers include the option to upload two of your own images to the template. Get the most out of your advertising with TicketPrinting.com.